Wash and soak the rice,urad dal,methi seeds,chana dal and poha for 6-7 hours. Grind them together to a fine paste. Keep the mixture covered overnight(outside the fridge) for fermentation. Next day morning add salt into this batter. Put a ladle full of batter on the tawa and spread into circular motions to make a thin dosa. 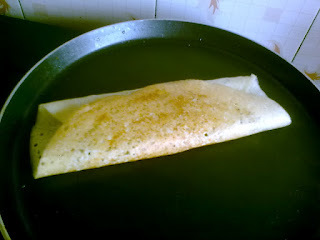 After a min sprinkle oil on the sides and top of the dosa. Slowly loosen the outer edges of the dosa,place masala in the centre and roll/fold it. 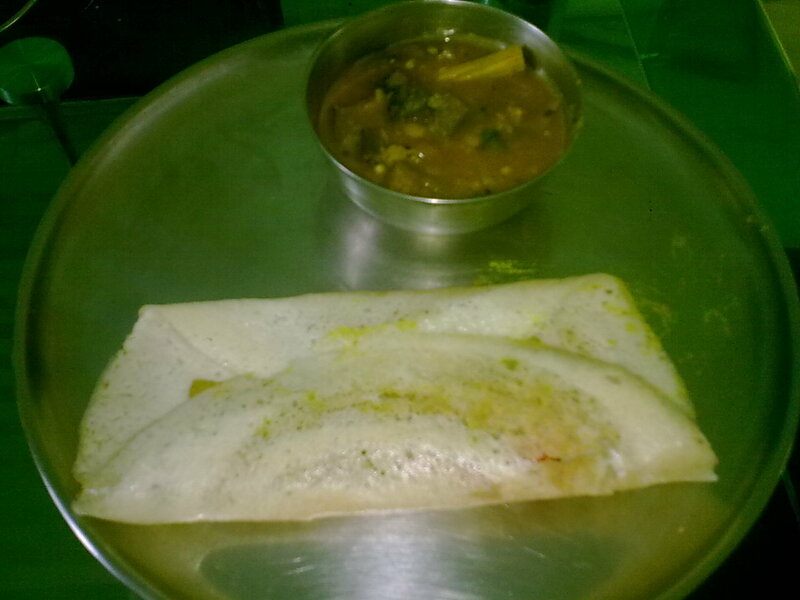 No need to turn the dosa. For potato bhaji -Heat oil,temper it with mustard seeds,green chillies,turmeric powder,onion,boiled potatoes and salt.